We were once a society that valued individual liberty and privacy. But in recent years we have turned into a culture that has quietly accepted surveillance cameras, police and drug-sniffing dogs in our children's schools, national databases that track our finances and activities, sneak-and-peek searches of our homes without our knowledge or consent, and anti-terrorism laws that turn average Americans into suspects. In short, America has become a lockdown nation, and we are all in danger. 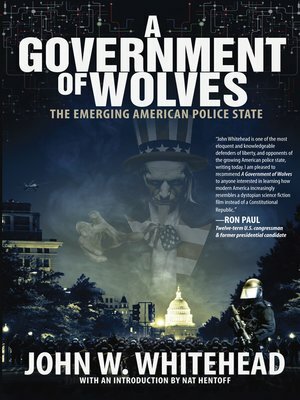 A Government of Wolves not only explains these acute problems but is a call to action offering timely and practical initiatives for Americans to take charge of present course of history and stop the growing police state. But time is running out. We are at critical juncture and every citizen who values his or her personal freedom needs to pay close attention to the message in this book!